Read a comprehensive introduction to both courses from Jeremy Barrell or download the PDF. 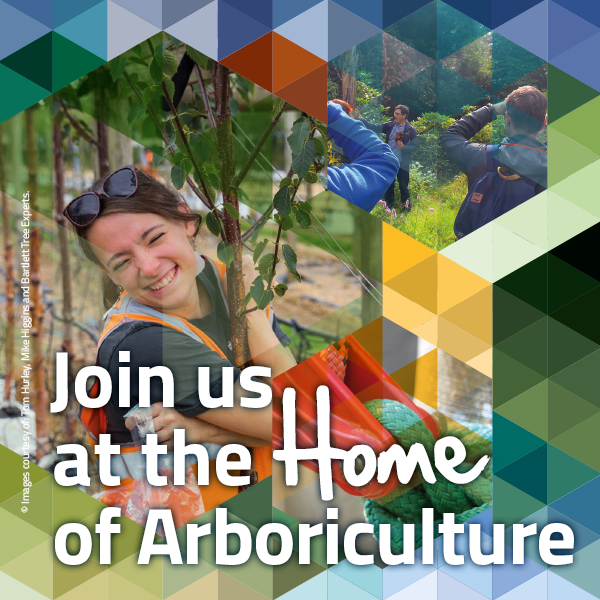 Jeremy Barrell, Dave Cashman and Mark Wadey, all long standing AA Registered Consultants and Chartered Arboriculturists, will lead the presenter line-up, sharing their experiences on how to make a difference. They will be supported by Phil Brophy, Andy Sherlock and Chris Allder, all ex-tree officers with a strong planning background, now finely tuned from the decades of consultancy practice between them. To claim the AA member rate you must book online and choose the invoice option and send proof of your membership to training@trees.org.uk. Please note that there is no discount when booking both courses together. The Connaught Hotel, Mayfair. Find out how we overcame the tree protection challenges during the installation of this water feature around two large plane trees that are thriving four years after completion. The Chewton Glen, Christchurch. This new five-star hotel extension in the Green Belt provided six new accommodation pods, all installed within root protection areas, with no adverse impacts on trees. When Dutch elm disease hit the UK in the 1970s, arboriculture was a fledgling industry, where the issues of the day were how much to prune, where to cut and what sort of wound paint was best! 40 years on and the industry is highly developed, with an emerging profession dealing with the legal and planning aspects of managing trees in an intensely urbanised environment. In tandem with this evolution, political and public awareness of the importance of trees has dramatically increased, putting arboriculturists on an equal standing with all the other built-environment professionals managing the modern city. Planning is the single biggest interface for arboriculturists and other professionals, and how those tree people perform has a profound influence on the reputation and credibility of the whole of arboriculture. If you are into trees, then this all sounds good, but there is a problem. The pace of change has been so fast that arboriculture has not been able to keep up with the demand for technically competent and professionally astute people. As any tree officer in planning will confirm, the standard of tree reports and professional practice across the country is embarrassingly low, with high quality being the exception rather than the rule. This inconvenient truth is bad for trees, bad for arboriculture and bad for each one of us working within it. There is a bright future in trees, but many more technically and professionally competent people are needed to satisfy the growing demand for urban greening expertise. BS 5837 tree surveys are compulsory for all planning applications that may affect trees, but there is no published guidance beyond the summary in BS 5837 on the detail of the assessment process. This workshop explores the theory behind tree assessment and describes a new evolution of the BS 5837 method designed to take the mystery out of the process. Of course, assessing trees is complex, with the challenge for arboriculturists being the distillation of all that complication into simple concepts that other professionals with no tree expertise can understand and use. Planners and architects are not even remotely interested in the intricacies of tree biology, they just want to know one thing: is the tree good or bad; is it worth retaining or should it go? Anything more involved than a ‘yes’ or ‘no’ answer and the opportunity for arboriculturists to communicate effectively is lost. Whether you are a tree officer trying to evaluate a planning submission or a consultant with an eye on high professional standards, being better informed about tree assessment is a career enhancement not to be missed. As climate change bites and the public expectation for healthy living conditions increases, the strategic case for more trees is becoming an important political priority. Arboriculturists have the knowledge and technical ability to successfully retain existing trees and establish new trees in the most challenging urban conditions, but the modern reality is that this rarely happens. In this seminar, we will review the strategic justifications for more trees and explore the mechanisms for delivering successful outcomes within the planning process. We will draw on experience from some of our most technically challenging projects to illustrate the practicalities of how to make planning work for trees and the communities they benefit. We know how to achieve high density development with trees because we deliver it on a daily basis, experience that we will share to assist you in achieving the same success. From public sector tree officers, planners, urban designers and landscape architects, to all the built-environment professionals in the private sector, if trees affect your work, then our subtle insights could be the difference you are looking for. Each workshop will be priced at £140 +VAT for AA members and members of qualifying organisations and £180 +VAT for non-members. Look out for more information on the website and the Spring edition of the ARB Magazine. *London workshops will be priced at £180 +VAT for AA members and members of qualifying organisations and £220 +VAT for non-members. Please note: There is no discount when booking both courses.